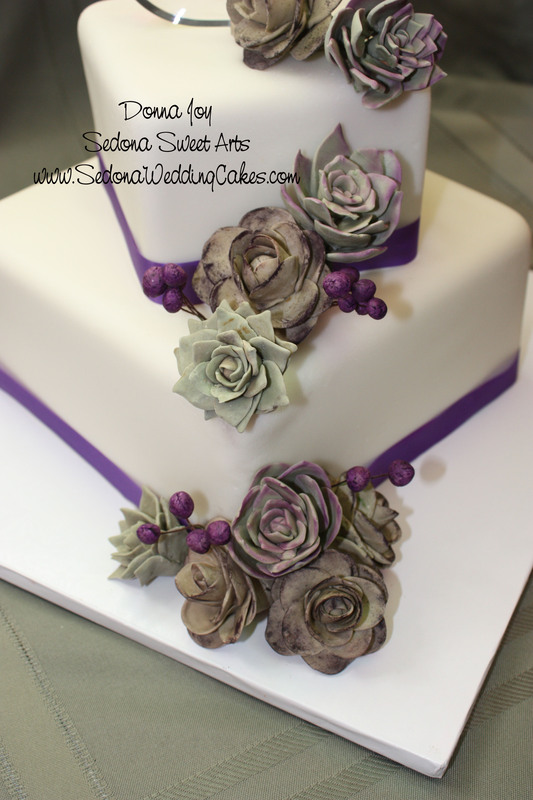 Being in Sedona Arizona Brides are looking to bring a bit of the desert or Southwest flare into the cake design. After being asked a few time to put real cactus or succulents on a cake I created these cakes using pastillage sugar and marzipan. I can’t even image putting a real cactus on a cake…..ouch! 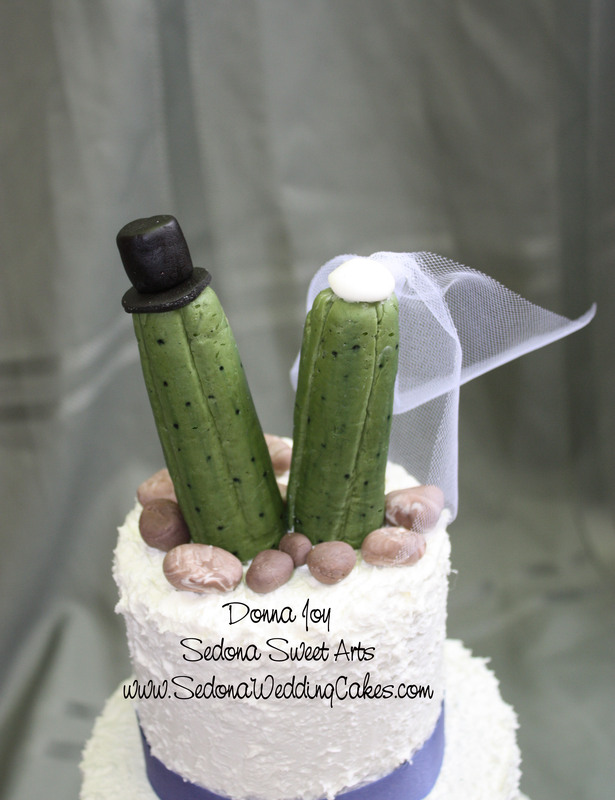 Here is a sweet cake with a Bride and Groom made from Marzipan into the shape of a Cactus Bride & Groom. Tuscan finished buttercream creates the canvas for this wedding cake. Sugar rocks surround the Marzipan cactus Bride & Groom. Would you please share your recipe for the succulents? They’re gorgeous! I am especially interested in how you got the striking colors. Thanks so much for posting your beautiful work.